I love how this emphasizes her independence and passion for learning and books! It kind of makes me think of The Little Mermaid 2 =) I need to read more mermaid books! Great pick! Sounds great...I now have to go pick up the first one. Love the cover and the sound of this one! Haven't read the first one, but I'm adding both to my TBR list. Thanks. This book looks BEAUTIFUL. I'll need to catch up on the first in the series, though. I haven't heard of this one, but it sounds great! I agree the cover is beautiful as well! Off to add it to my ever growing list! 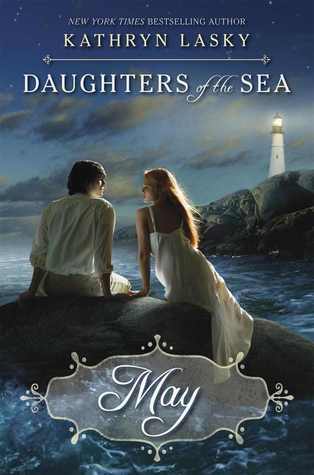 I haven't heard of this one, But I love mermaids... Great pick, and I love the cover!! Love Laskey's books and this sounds like it will be a favorite too. Good Pick! I haven't heard of this series. I'm going to have to add it to my wishlist though! I haven't heard of this series before but it sounds good, thanks for sharing! The cover is stunning! I don’t think I’ve read anything with mermaids. I should rectify that situation soon. Nice pick! I have not read the first book yet either, but the cover of this one is awesome! I am adding it to my TBR list! Thanks for sharing. This sounds like a good series that I need to read. I love these types of books! Great pick! Looks cute! Nice pick. My WOW is at The Crowded Leaf. Nice pick! I love mermaids! Need you say more? Nope! You've got me! Hannah is still waiting on my shelf! I need to read it. Cool! I haven't heard of this series. It sounds fabulous. Ooh sounds good! I haven't read the first one, though. I guess I had better get on that haha. Great pick!